It seems than along with the customary announcement of streaming content coming in and going out of Netflix each month, these last two months have also welcomed some changes regarding user experience. During the first days of July, the streaming company announced the removal of one of their least used features: The desktop-only option to read and write reviews of TV shows and movies on the website. The removal of user reviews –they claim- is due to the fact that “ [it] is only offered on the website and has been declining usage over time”. The removal process was planned in stages: Since the past July 30th users are not able to add reviews to any show or movie available, and within the next few day –middle of august- all types of reviews will be permanently eliminated from the website. “You contributed a review on Netflix within the last year. We wanted to let you know that this feature will be retired on July 30th due to declining usage. Alongside the public announcement, Netflix assured everyone that reviews play absolutely no role the platform’s algorithm used in their recommendation system for movies and shows. This announcement hasn’t gone unnoticed, receiving some back-lash from many users, who assert that coupled with last year’s removal of the one-to-five-star rating system -which was replaced with a thumbs-up-thumbs-down system-, Netflix’s way of receiving direct and first-hand feedback has become dodgy and overly simplistic, preventing people from giving and receiving a more precise and accurate opinion of a TV show/movie from fellow watchers. However, Netflix has declared over some statistics that this change in the rating system has brought in another tool for their algorithm to further improve the way they recommend personalized content, stating that overall there have been considerably more ratings under the thumbing system than there ever was with the star rating. 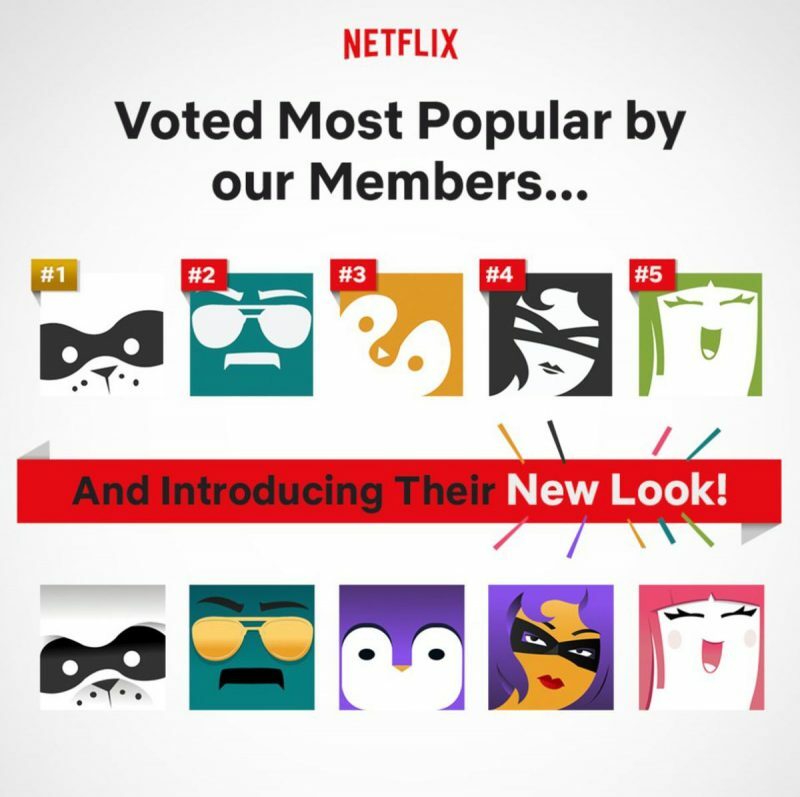 On the brighter side of things, in regards to the fifth anniversary of the day Netflix launched profiles, they recently announced a not-so-memorable but nonetheless fun new update for the beloved profile icons. Netflix is currently at its highest point in terms of streaming content, and mainly because they’ve invested so much in their own original content, which has gradually grown and diversified to an impressive amount of genres in both movies and TV shows. Presently, Netflix doesn’t stop at the production of American-made and even English-made entertainment, they have also delved into the production of high-quality anime, doramas (Korean and Japanese soap operas), Latin American dramas (such as the 2016 break-through sensation Narcos), and more European content not British related. It is because of this –very welcomed- wide array of culture diversity in streaming content that Netflix is the top leading film and television streaming platform, boasting hundreds of millions of subscriptions. Another reason for Netflix’s continuous skyrocketing in the streaming industry is largely due to their famous algorithm system, which recommends new TV shows and movies based on certain characteristics of content previously watched, namely, genre, actors, storytelling, and others. Unfortunately, said feature is both a blessing and a curse; if used by several people of widely different tastes, causing the account to become a mess of un-wanted recommendations for every party involved. And that is why, in August 2013 Netflix came up with the brilliant idea of profiles, where each account is provided 5 different profiles, allowing users to create their own personal profile that would fit each person’s individual tastes. So starting from this month, which, as we’ve previously mentioned, marks the fifth anniversary since introducing profiles, it has been announced that the icons responsible for graphically representing said profiles are going to get a cool upgrade, as well as a –quite- large batch of new icons. The classic icons are getting a new look, with different colors -some of them with subtle gradients added as well-, more details to each icon’s elements, and a slight 3D effect is also discernible in them. 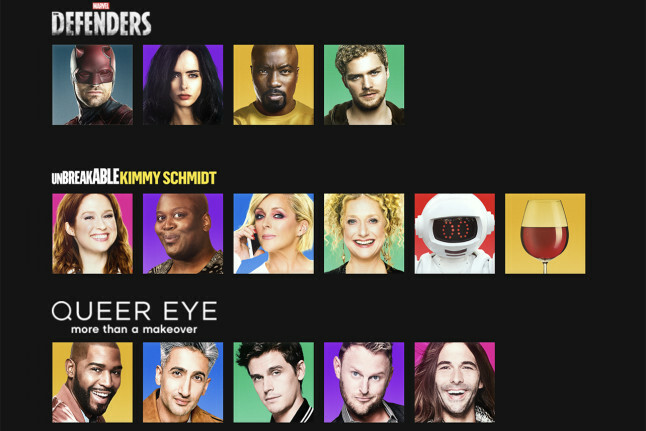 Additionally, Netflix is adding a new lot of dozens of profile options, all of them featuring one character from the platform’s own original series, including Stranger Things, The Defenders, Bojack horseman, Orange Is The New Black, Unbreakable Kimmy Schimidt, Queer Eye, and more. Although this change isn’t by any means a monumental one, it is a nice and creative way to celebrate the anniversary of what stands as one of Netflix’s finest moves.